At BlogHer '12 in early August, I visited the Reader's Digest suite because I have been a huge fan of the magazine since I was young. (mostly b/c my parents encouraged me to read it and I enjoyed the reader's submissions of their jokes/funny stories. To my delight, they have a new book called The Digest Diet they are promoting for good health & staying active. They're on sale October 2nd but you can get a sneak peek on their site. They have a day by day meal plan as well as exercise routines to follow in 21 days! It's three short weeks and I look forward to the Digest Diet Journey! 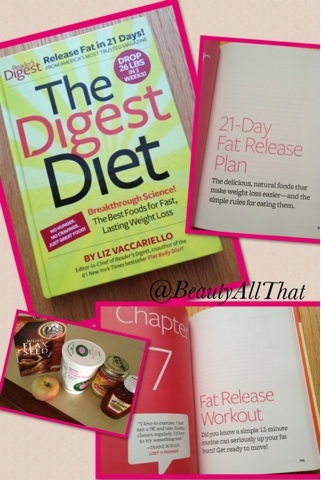 Learn more here, get a sneak preview and get the shopping list at http://www.rd.com/digestdiet !